A Kuwait social media star is in hot waters recently after she publicly complained about the new law granting Filipino domestic helpers to have their rest days and keep their passport with them. Social media influencer Sondos Alqattan said she does not want to have Filipino maids anymore because of the new law. "How can you have a 'servant' in your house who gets to keep their passport with them?” Alqattan said in an Arabic video uploaded and translated by TRT World, an English-language news in Istanbul, Turkey. "And what's worse is they have one day off every week.” She said. "If they ran away and went back to their country, who'll refund me? Honestly, I disagree with this law. I don't want a Filipino maid anymore," Alqattan said. 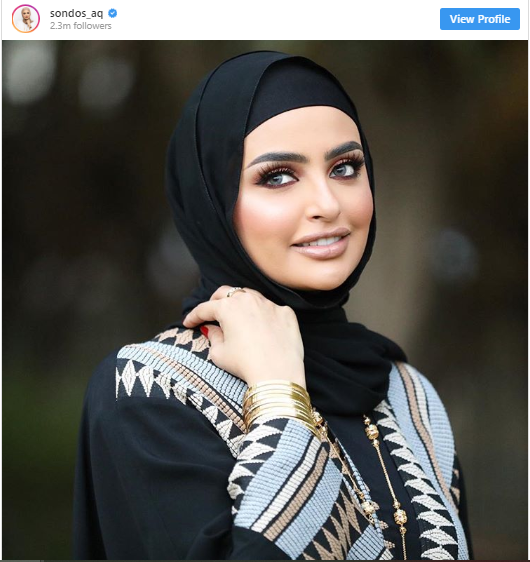 Alqattan, who describes herself as a makeup artist and a beauty lover on her Instagram with 2.3 million followers received backlash because of her comments against Filipino helpers. If recalled, the Kuwaiti government recently allowed the Filipino overseas workers to be exempted from what they call “Kafala system” after the Philippine President requested for such arrangements earlier this year. The Kafala system is a system used to monitor migrant workers which allows the employers to exert “ownership” over their workers. This system also gives employers the right to decide the terms of employment of their employees. This law that protects the Filipino workers in Kuwait was signed by President Rodrigo Duterte in May 2018 after the temporary ban of sending OFWs to the Gulf State where many of the Filipino migrant workers suffered abuse from their employers. The agreement of the two countries to improve the working conditions of the OFWs was prompted by reported abuses, even passing of some including Joanna Demafelis, whose body was found in a freezer in Kuwait, more than a year after she went missing.